Therone Shellman’s debut novel, Love Don’t Live Here (Third Eye Publishing, Paperback, $14.95 0-9771004-1-3) hits the streets on October 7th, 2005. The book is based on the author’s personal experiences growing up surrounded by several strong, proud, single mothers in his own family and neighborhood. 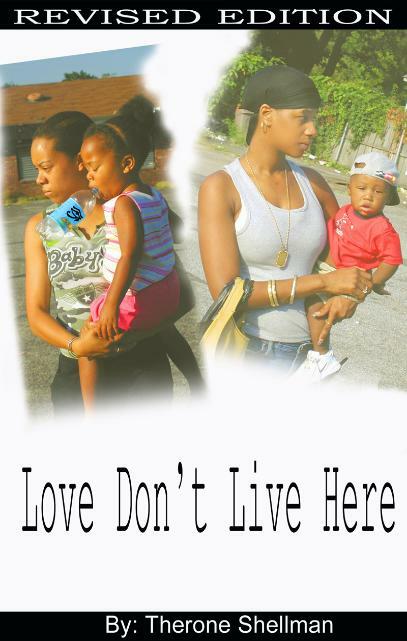 Therone Shellman’s debut novel, Love Don’t Live Here (Third Eye Publishing, Paperback, $14.95 0-9771004-1-3) hits the streets on October 7th, 2005. The book is based on the author’s personal experiences growing up surrounded by several strong, proud, single mothers in his own family and neighborhood. Love Don’t Live Here is both relevant and timely to society today. Recent statistics show that almost 70 percent of black children are born to single mothers and that those mothers are far more likely than married mothers to be poor. As a result, poverty is passed along to their children, which often creates a vicious never-ending cycle. Therone Shellman’s mission is to write entertaining and insightful books for parents, singles, and young adults. Becoming an author has been a dream of his since childhood. Therone’s story is inspirational and motivational. He spent time in and out of jail during his late teens through early twenties. 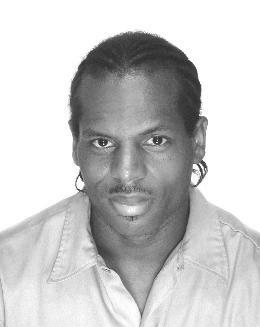 During his incarceration, Therone started writing about his life experiences. In 1989 he submitted his work to several major publishers but was ultimately turned down. His writing style was too gritty and raw for most major publishers at that time. Now, at 33, Therone plans to bring a whole new brand of hustle to the literary game, vowing to become the P Diddy / Jay-Z of the written word. Therone is often asked what compels him to write. His answer “ “I am the gatekeeper between fiction and reality”- These words are reflected in his writing. My mother was single with 4 kids-I’m the oldest. Two sisters and one brother. At six my three siblings and I were placed into the child welfare system by the state, which assumed responsibility for us, over our mother who they felt was overburdened as a single parent. We stayed at the NY Foundling Institution in Manhattan for a few months until we were placed into a suitable home. My family was ultimately split up. My sister Aketa and I were placed in one home, while my youngest brother and sister, Ivory and Tiesha were placed together in another home. My sister and I went through three different families before finally being adopted. At the age of 14, I realized that I had to mature, become a man, and accept responsibility for my life and my sister’s. We really had no one close to us that cared besides the woman who took my youngest brother and sister. She became close to us like an aunt. At the age of 15 I started to sell drugs in the Brentwood and Central Islip area of Long island, N.Y.
At 16 I started pulling stick-ups and robbing folk…especially other drug dealers. Drug dealers were a prime target because, they were the least likely to go to the police. And most of the time the dealers I robbed were the ones that I considered to be in my way, or I did not like how they conducted their business. I only robbed drug dealers and businesses, never everyday working people. That was against the rules the way I was taught. I grew up hard so I learned to think and analyze situations beyond that of the average mind of a 16 yr old. This ability enabled me to organize and influence the thoughts of others. Most of my associates were older than me and had been involved in the life of crime for 2-3 yrs more than me. But as time went along I began to have more influence over what we did and we did not do as a group. We did not call ourselves a posse or a crew. But nevertheless, we kept a tight circle and worked together for financial gain. By 16 I read everything from politics, sociology, history and most importantly autobiographies of black historical leaders in and out of the U.S. Books such as Destruction of African Civilization by Chancellor Williams, Theology of Time by The Honorable Elijah Mohammad and several autobiographies helped mold my psyche. At the age of 16 I became a member of The Nation of Gods and Earths. To most they are known as 5 Percenters. I was given the name Victorious. At the age of 17 I was incarcerated for the first time. I came home 5yrs later after being in some of the roughest prisons in NY State. Because, of my beliefs, aggressiveness and the ability to lead and organize I was bounced from one prison to another, usually after a fight or altercation with other inmates. Eventually I got sent to the box for 11 straight months (a special housing unit) after assaulting a corrections officer. The only thing that gave me hope while I was incarcerated during my time inside was my younger sister Aketa. Her letters made me mad, at myself, at her, at everybody, but at the same time they gave me purpose. She was in her own prison at the time. She fell in love and had a son with the wrong man for her. Despite their dysfunctional relationship, she had a second child by him. This time it was a daughter. I was already writing then. But it was through thinking about my sister’s situation that I thought of writing a book about the plight of a single mother. My book was basically an apology to my sister for not being there for her. I know that if I were around she would have never fallen for a guy like him. Therone resides in Ronkonkoma, New York. He is a bachelor, seeking to accomplish some long wished goals before settling down with the right woman.